Before proceeding with another personal Christmas book recommendation, I have to declare an interest which, if not quite vested, is holding a vest in its hand and seriously considering it as a style option. The publisher of the particular edition I would like to discuss - Capuchin Classics - once paid my wages. I hereby declare, however, an honest and objective admiration for their list - prompted not at all by the receipt of any brown paper bags whatsoever - and freely endorse the suitability of their hardback Christmas Pudding, by Nancy Mitford, as a gift to be deployed during the aforesaid season. 'Diana the Fascist, Jessica the Communist, Unity the Hitler-lover; Nancy the Novelist; Deborah the Duchess and Pamela the unobtrusive poultry connoisseur'. Nancy's novels tread a balance between satirising and celebrating the glittering, privileged elite to which she belonged, and she revelled in placing her characters in bizarre and uncomfortable situations, and then standing back to see how they reacted. She also used her fiction to cast a beady and none-too-favourable eye on her own family members. 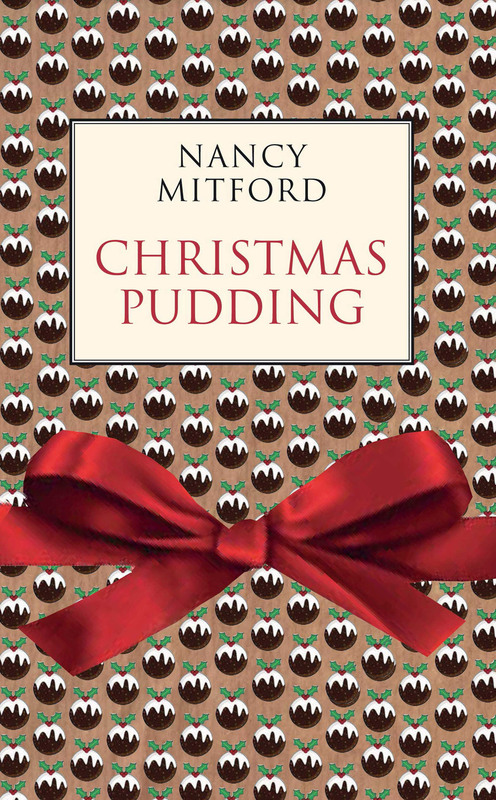 In Christmas Pudding, beautifully presented in this recent edition, the gloriously-named Lady Bobbin is entertaining (at Christmas) a typically diverse collection of characters, including a young, earnest novelist whose attempt at a profoundly tragic novel is being hailed as the funniest literary achievement in years. The activities, passions, subterfuges and uncertainties of the characters meet, intertwine and develop over a bizarre and memorable holiday period. We are not, by any means, in the neighbourhood of Great Literature here (nor, probably, on the same continent), but as a piece of deftly-written and amusing confectionery, studded with amusing characters and expertly-choreographed set pieces, it's a seasonal treat for oneself or one's best pals and kinfolk. While I'm trawling my professional history, a highly relevant but considerably less festive book is worth mentioning, namely Maia's novel Unity, by Michael Arditti (I used to be a sales rep (see this post) for a company that carried Maia's books). Arditti's work fascinatingly frames the story of Unity Mitford's relationship with Hitler within that of a film being shot about this subject, and then assumes further narrative distance by having the narrator examine the reasons behind the dramatically violent events that caused the film to be abandoned. The interplay between these levels of history and narrative, and the emotional and moral journey undertaken by the narrator, are rendered with immense skill and make this a wonderful modern novel. There aren't many chuckles, however.